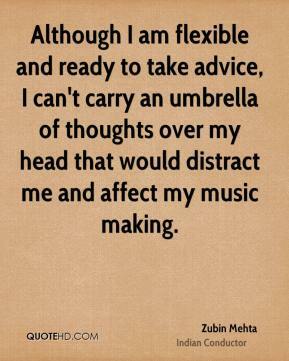 Although I am flexible and ready to take advice, I can't carry an umbrella of thoughts over my head that would distract me and affect my music making. 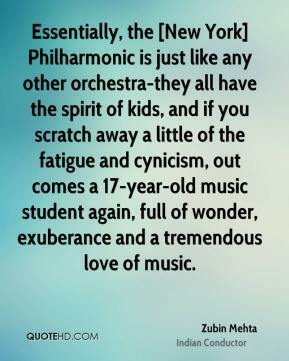 Essentially, the [New York] Philharmonic is just like any other orchestra-they all have the spirit of kids, and if you scratch away a little of the fatigue and cynicism, out comes a 17-year-old music student again, full of wonder, exuberance and a tremendous love of music. 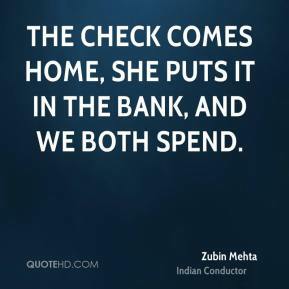 The check comes home, she puts it in the bank, and we both spend. 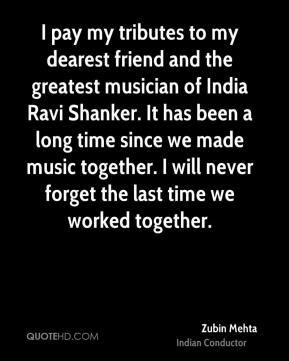 I pay my tributes to my dearest friend and the greatest musician of India Ravi Shanker. It has been a long time since we made music together. I will never forget the last time we worked together. 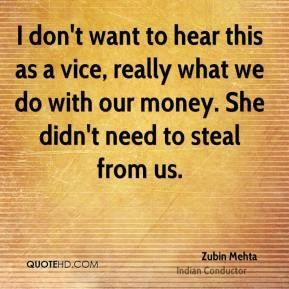 I don't want to hear this as a vice, really what we do with our money. She didn't need to steal from us. 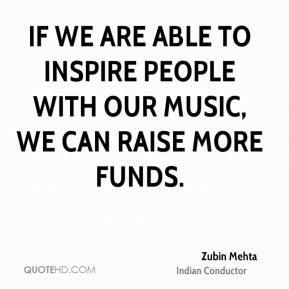 If we are able to inspire people with our music, we can raise more funds. 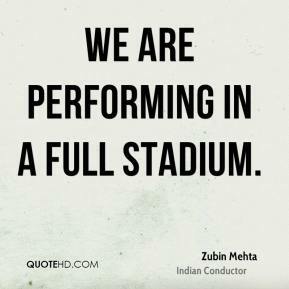 We are performing in a full stadium. 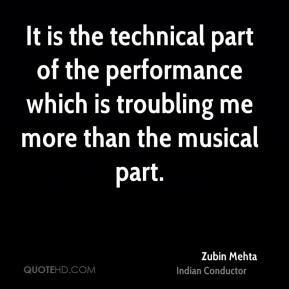 It is the technical part of the performance which is troubling me more than the musical part.